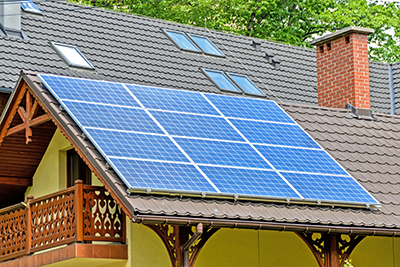 In the event that there is no network connection, the solar modules generate electricity for lighting, powering the TV, radio, pump, refrigerator or hand tool, etc. Usually, batteries are used for energy storage, and a liquid-fuel electric generator is used as a backup energy source. 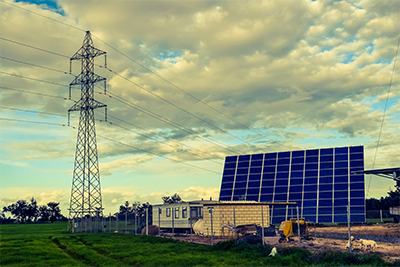 If the facility is connected to a centralized power supply network, solar panels can be used to generate their own electricity. The surplus of electrical energy is usually sold to electric networks (more precisely, the counter counts in the opposite direction). If special increased tariffs for solar electricity are applied, then 2 counters are set - one for generation, another for consumption. At the same time, all electricity generated by the solar battery is sold to the networks at an increased price, and the house's electricity needs are mitigated by buying electricity from the networks at a normal price. Thus, it is possible to ensure not only zero expenses for electricity costs during the year, but zero electricity consumption for the year (in summer, surplus energy is supplied to the networks, and in winter, in case of lack of sun, the house consumes mainly from networks). 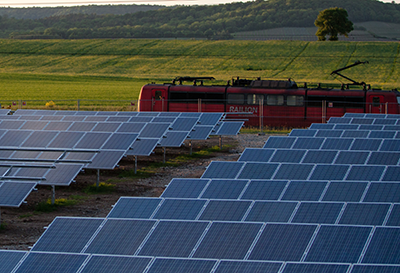 The photovoltaic system is applied when there’s poor quality of electricity networks. In case of power blackouts or insufficient quality of the voltage, the solar system assists to cover the load. In this case, it is usually necessary to have batteries, UPS or, in the case of high power, another source - for example a generator. In the latter case, due to solar energy, fuel consumption during breaks in electricity supply is significantly reduced. At a time when there is electricity network, the system usually works as “linked to a network”.